Under the concept of "Ud & Eco Style," the Itoki Group has positioned protection of the global environment as part of its core business. In a bid to facilitate this protection throughout all business areas, we are working to make constant improvements by stipulating the Itoki Environmental Policy — guidelines for all environmental activities — along with specific action guidelines and operating the environmental management system. In order to ensure the same quality of environmental activities throughout our Group companies, we have facilitated the development of a group-wide EMS. As part of this effort, we have promoted the development of an EMS at all consolidated subsidiaries. We conduct environmental activities in which all employees participate by linking the environmental management cycle of the whole Group (overall PDCA) with that of each site and business (individual PDCA). The aim is to clarify issues requiring Group responses and those that should be handled by each site and business. In addition, we conduct company audits on an EMS of each site and business to ensure it conforms to the Company policy and plans. We also conduct division audits to check the progress of environmental activities of each site and business and to identify opportunities to address issues. This helps to improve environmental activities. The Itoki Group has stipulated the Itoki Environmental Policy--the guidelines for all environmental activities--and specific action guidelines to facilitate activities to protect the global environment. The Itoki Environmental Policy and the action guidelines are shared throughout the entire Itoki Group (Itoki's headquarters, 52 branches and sales offices, six production sites and eight logistics centers in Japan, as well as 21 Group companies in Japan and overseas). Based on its corporate philosophy, Itoki has formulated the environmental policy as below. ITOKI CORPORATION and the Itoki Group recognize global environmental issues as a top priority for the 21st century and strive to reduce global environmental impact in all areas of corporate activities with the aim of helping to create a sustainable and recycling society. In addition, Itoki strives to "create people-centered environment" with consideration given to diversity of people. 1. We offer products, services, and space designs that are both environmentally and human-friendly. 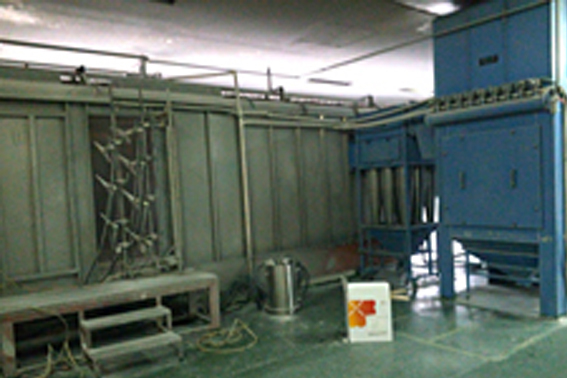 In developing products, we implement product assessment based on our internal standards and promote eco-products. In addition, we strive to implement the "Ud & Eco Style," our corporate concept aimed at realizing a society for "energetic people and a verdant planet." 2. We strive to protect the global environment and prevent environmental contamination by incorporating environmental activities into our daily business. 3. We comply with laws and regulations related to the environment as well as regulations and accords to which we are committed. We formulate and comply with self-imposed environmental standards. 4. We disseminate the Itoki Environmental Policy among all employees and raise their awareness of the environment through well-planned education and training programs so that they can reflect the policy in their daily operations. 5. We continuously improve our EMS. 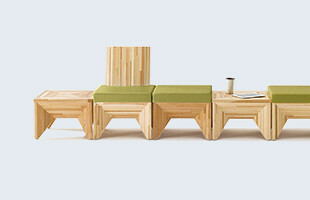 ITOKI (Suzhou) Furniture, producing furniture for "joyten," a brand targeting the Chinese, ASEAN, and Indian markets, obtained ISO 14001 certification in June 2012 and has promoted environmental activities by assigning local staff as dedicated leaders. Under a group-wide six-priority approach, ITOKI (Suzhou) strives to make comprehensive improvement in its production process while protecting the environment. 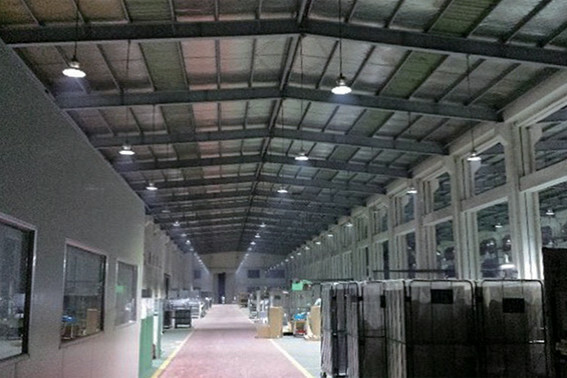 ITOKI (Suzhou) made solid progress in FY2014, including the introduction of LED lights, elimination of waste materials, reduction in the usage of medical agents and gas for welding, and reduction in the volume of sludge through drying. 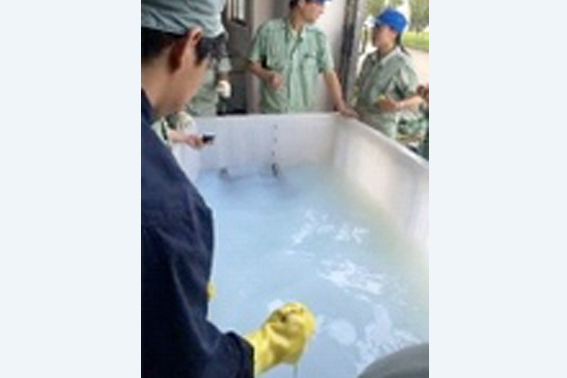 In fiscal 2015, we engaged in initiatives to switch chemicals used for pretreatment prior to painting (moving to phosphorous-free chemicals), responded to increasingly stringent regulations on phosphorus-based chemicals in China and dramatically reduced the amount of sludge emitted for wastewater processing. Going forward, we aim to reduce to zero the amount of sludge emitted for wastewater processing. The Itoki Group is working to increase the overall level of production activities by always regarding environmental activities together with other priority areas, namely safety, quality, production, costs, and human resources development. The PDCA cycle is used by individual workplaces to address issues at a unit or working group level on an everyday basis. 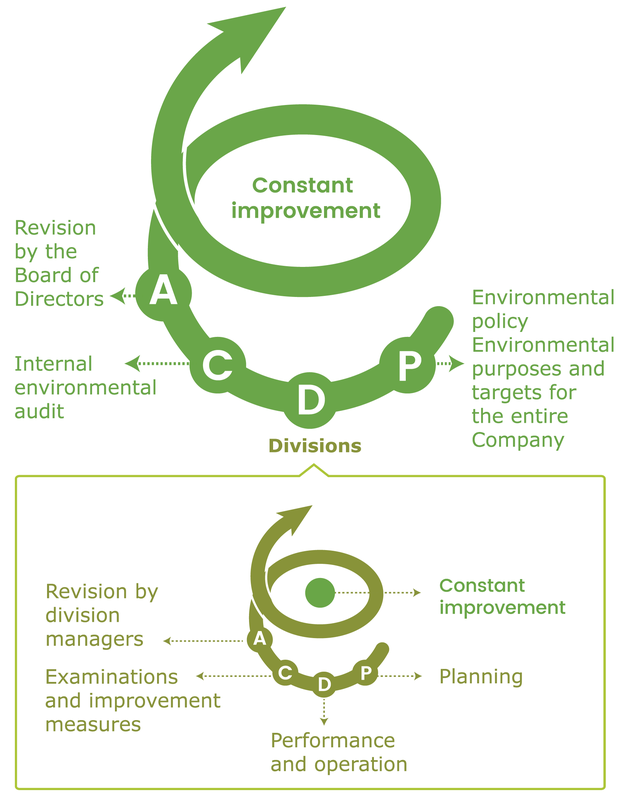 We have also created PDCA cycles as projects to resolve issues that arise on a divisional or organizational basis. We share issues and challenges using management and Kaizen boards (boards that show how to make constant improvement) that are installed at multiple locations within our factories. 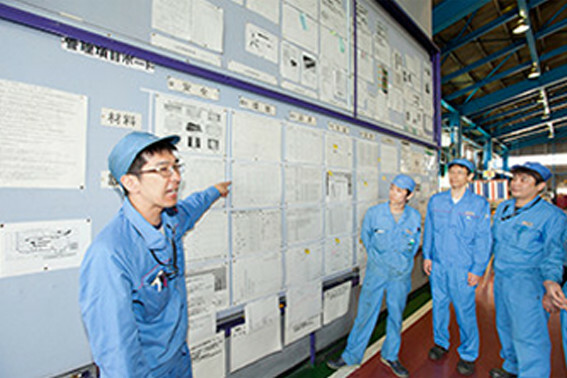 The management and Kaizen boards clearly display information on all six priority areas, namely safety, the environment, quality, production, costs, and human resources development. In addition to visualizing information, the boards help employees to understand mutual relationships, contributing to shaping corporate culture to perform high-quality environmental activities. Holding morning and end-of-day meetings in front of the management and Kaizen boards has helped us to increase communication between management and frontline employees. 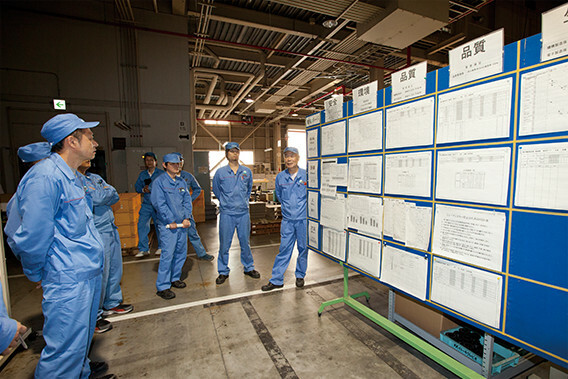 In addition, we have encouraged employees to write down their findings and opinions on the boards to facilitate mutual communication with a bottom-up approach, which has been a driving force behind the Kaizen activities throughout our factories. We started introducing management and Kaizen boards to our Group companies and affiliates outside the Group in FY2013. We have largely completed introducing them to our Group companies while two affiliates have been using the boards since FY2013. Based on its Medium-Term Environmental Plan, the Itoki Group has facilitated environmental activities with a medium-term perspective. We formulated the FY2013-FY2015 Medium-Term Environmental Plan through discussions between the environmental and other sections, and it was approved at the corporate environmental meeting. We aim to achieve our eight environmental objectives such as the promotion of Eco Products and Ud & Eco Products, prevention of global warming, and management and reduction of hazardous chemical substances. To this end, we make all-out efforts to achieve the Medium-Term Environmental Plan by translating it into specific environmental targets and effectively managing it through PDCA cycle management. The Itoki Group has focused on manufacturing products based on the "Ud & Eco Style," which combines a user-friendly universal design and environmentally friendly ecological design. We aim to embody our corporate concept of "Energetic people and a verdant planet" by providing society with products that are friendly to the environment and that can be used in the same manner by many people. We do this through all steps of product lifecycle from procurement, designing, manufacturing, sales, transportation and disposal to recycling. The Itoki Group recognizes that global warming causes droughts, torrential rain and other unusual weather events that can cause major damage in people's lives. Such events can also have a serious impact on our own material procurement and production activities. We have engaged in more diversified and effective activities to reduce CO2 emissions by facilitating carbon management; visualizing the amount of emissions in each stage, from procurement, designing, manufacturing, transportation, sales and disposal to recycling; and using a carbon offset scheme. We are also considering and implementing appropriate measures to minimize the impact of global warming on our business activities. The Itoki Group has promoted the effective use of resources throughout its product lifecycle (designing, procurement, manufacturing, transportation, usage and disposal) to use limited resources with care and to preserve valuable resources for the next generation. 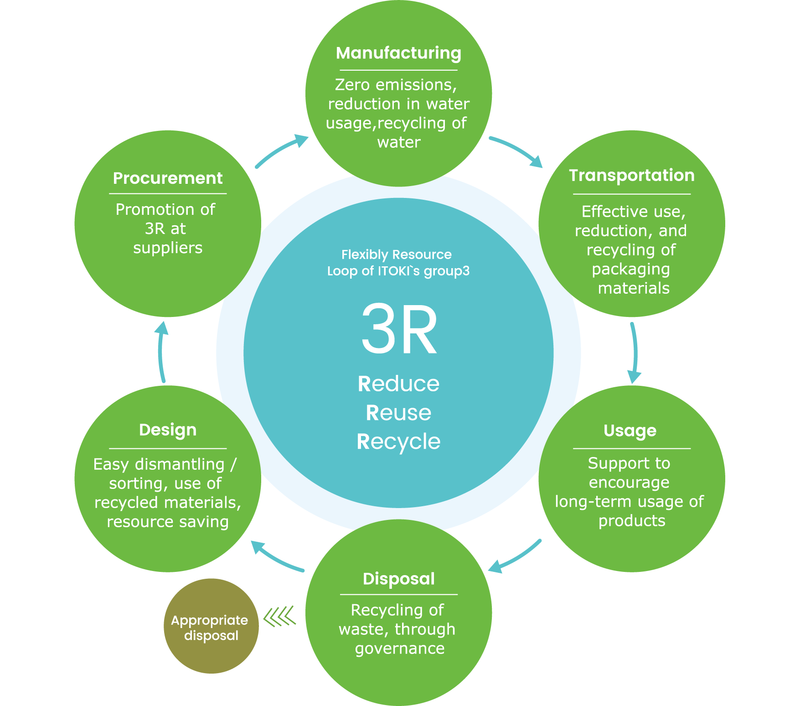 We strive to ensure 3R (reduce, reuse, and recycle) for all resources used to manufacture products, such as raw materials, water, and sub-materials including packaging materials. We do this by setting targets for the reduction of waste emissions, final disposal of industrial wastes, and reduction in the use of water. We develop and provide products and services that give consideration to biodiversity. We promote the procurement of raw materials that give consideration to biodiversity. We strive to raise employees' awareness of the need to conserve biodiversity through environmental education and corporate social responsibility activities. We work with stakeholders to promote activities for the conservation of biodiversity and disclose the details of our activities. We conform to international agreements on genetic resources and ensure their fair use. With the goal of manufacturing products focusing on safety and health, the Itoki Group strives to minimize the use of chemical substances from product development, manufacturing and usage to disposal, and properly discloses information on the management of such materials. 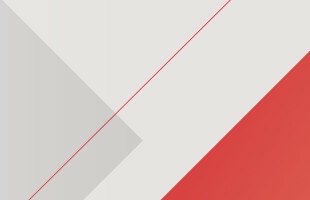 The Itoki Group strives to offer safe products by working from development stage according to the Itoki Guidelines for Products Containing Chemical Substances. At the procurement stage, we obtain safety data sheets (SDSs) from suppliers to determine what chemical substances are contained. At the manufacturing stage, workers don protective equipment when handling chemical substances and SDSｓ indicate whether substances have hazardous properties. We employ emergency measures if personnel are exposed to such substances and through these efforts, "visualize" exposure to the substances in the workplaces that handle them. To ensure against absolutely any outside leaks, in addition to operational procedures we have leakage containment barriers in place to prevent physical leaks. At the manufacturing stage, we set targets for reducing the amount of substances used that are subject to the Pollutant Release and Transfer Register (PRTR) system. In these ways, we undertake thorough efforts to appropriately manage and reduce our use of chemical substances. At the disposal stage, we dispose of products by selecting appropriate methods and facilities for each product. Chemical substances can significantly affect human health; examples include sick building syndrome and multiple chemical sensitivity syndrome. Observing the laws and regulations on chemical substances and based on the guidelines stipulated by Japan Office Institutional Furniture Association (JOIFA), Itoki Group actively employs materials that take health into consideration. For wood-based materials, such as plywood, particle board and medium density fiberboard (MDF), the Group has been switching to those rated F☆☆☆ or above, indicating lower formaldehyde emissions. In some cases, the Company selects F☆☆☆☆-rated materials for even lower emissions. The Group is also seeking to obtain GREENGUARD certifications in the United States. *GREENGUARD is an environmental certification program in the United States. This program sets standard values for volatile organic compounds (VOCs) in living environments, mainly those emitted from building materials and furniture, and limits total VOC emission levels. There are two types of certification--regular GREENGUARD and GOLD--with the latter being more rigorous. The Itoki Group has implemented internal rules to regularly check the latest information on environmental laws and regulations applied to corporate activities and products as well as to periodically assess compliance with laws and regulations. In the production process in factories, we perform regular measurements required by laws to prevent air pollution and water contamination. In order to protect the natural environment surrounding our production bases, we have promoted activities to reduce the emission of substances that impact the environment. In addition, we have voluntarily imposed stringent standards and performed thorough monitoring aimed at preventing the emission of hazardous materials. To prepare for the unlikely event that an emergency situation does arise and minimize impact on the surrounding environment, we create risk hazard maps that show the locations within plants and quantities of chemical substances that could affect the environment. We also conduct regular drills in line with our emergency response procedural manual. Ud & Eco style: Ud (Universal Design) and Eco (Ecological Design) are combined to form this coined word that expresses striving towards achieving a sustainable society where people can grow together.